I mentioned earlier that I went to Midwest Old Threshers this year. There were quite a few changes since I went there 5 or 6 years ago. Here's a shot of locomotive number 6. This is part of the Midwest Central Railroad (the name of the narrow gauge railroad that goes around the Mt. Pleasant fairgrounds). 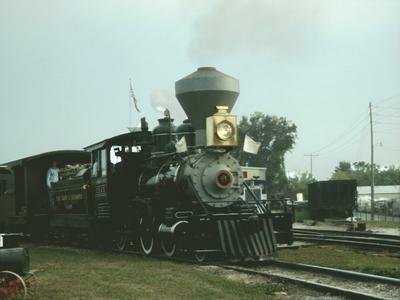 They've made some modifications to this locomotive for movie work (equipment here is sometimes used in movies) so it looks a bit different than all the pictures on the official website. I took several pictures, but not as many as I expected because I ended up being occupied quite a bit of the time. 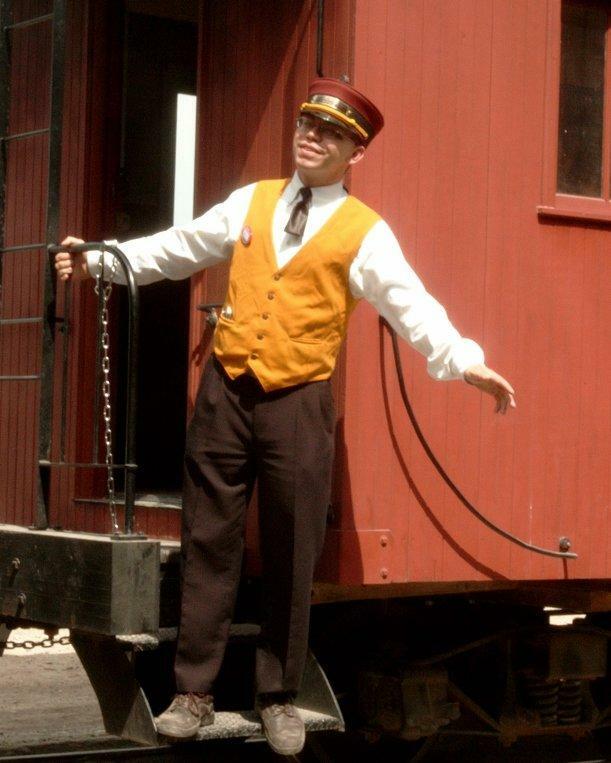 In fact, about half the time I was serving as a conductor on the Midwest Central Railroad. It was really quite a bit of fun, especially for a train nut like me.